Another opportunity to deepen your understanding and practice of RIE. This book is a collection of information on varying topics regarding interacting and raising children. The chapters are short, easy to read and get right to the point. Very helpful for parents of toddlers and parents who are easily frustrated by children pushing their buttons. 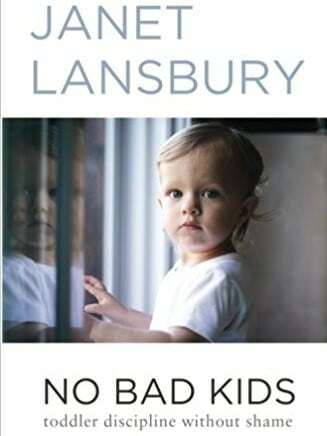 Janet Lansbury is associated with RIE (Resources for Infant Educarers) and she offers insight into how to raise your child in a respectful, healthy way. “Badness” is a myth, children’s behaviors are their attempt to meet their needs. Viewing children as bad undermines our relationship and our ability to teach them. Easy to navigate and find quick information on the topic you need. This is a good tool and perspective for the toddler years but doesn't have the brain research and tools for long term change the way Daniel Siegel's books do. Janet Lansbury is not considered a RIE practitioner by many in the RIE community - she is more strict than most.